imageRUNNER 2000 - American Business Copiers, Inc. Equipped with a variety of productivity enhancing features, the imageRUNNER 2000 offers great versatility. 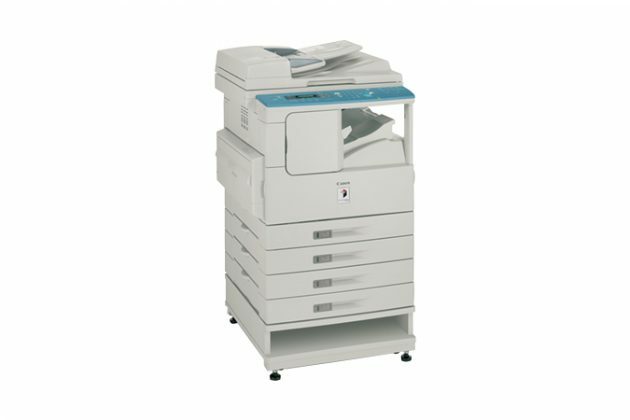 The easy-to-use imageRUNNER 2000 is a high quality printer and copier with a compact design. The imageRUNNER 2000 is full of advanced features and options such as Scan Once Print Many, Copy Reservation, Two-Page Separation, Automatic Page Orientation, and Frame Erase. This device is equipped with 16MB of copier memory (expandable to 48MB), a copy resolution of 1200 dpi x 600 dpi, dual 250-sheet front-loading cassettes and a 100-sheet stack bypass. 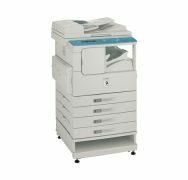 Options include a 50-sheet Automatic Document Feeder, a 10GB printer Hard Drive and two innovative space-saving finishing units. Furthermore, the imageRUNNER 2000 offers additional 32MB or 64MB printer memory upgrades and an Ethernet Network option, and supports a maximum paper capacity of 1,100 sheets. The imageRUNNER 2000 is the smart solution that will protect your investments as your business grows!